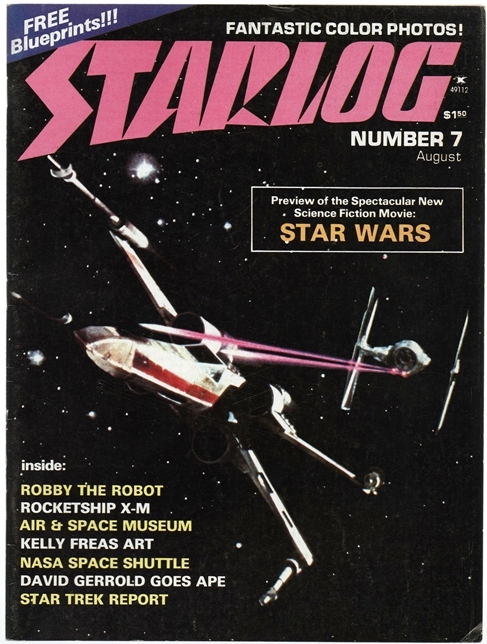 From August 1976 through April 2009, Starlog Magazine kept its finger on the pulse of science fiction in film, television, and beyond. It was one of the predecessors of sites like Giant Freakin’ Robot, and many of us here at GFR have fond memories of flipping through the pages to get the latest on SF projects back in the days before everydamnthing was on the Internet. 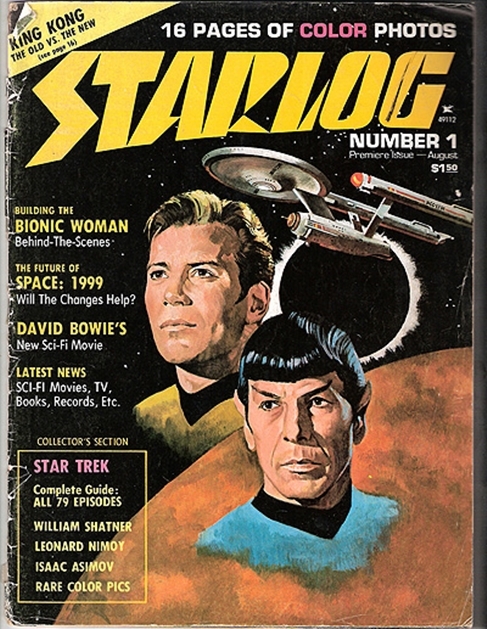 Earlier this year, Starlog came full circle and returned to life as a website, but today I’m more interested in its heritage, a legacy you can explore — in full — courtesy of the Internet Archive. There you can read Starlog’s entire run online, for free. The Internet Archive is a non-profit organization striving to, in their words, “give everyone free access to all knowledge.” That’s obviously no small task, but one of the particular focuses of the project is preserving the runs of magazines. It makes a lot of sense when you think about it: much of the material published in magazines over the years was never republished elsewhere, and the magazines themselves often wind up recycled or in landfills. By translating the run of a magazine like Starlog, the IA folks are preserving a fascinating chronicle of the history of science fiction in film and television over the course of over three decades. Appropriately enough, Star Trek dominates the cover of the first issue, along with articles focused on The Bionic Woman, Space: 1999, and even a short piece by Isaac Asimov on the subject of science fiction conventions. My personal favorite, however, has to be the Shatner profile entitled “William Shakespeare: Shakespeare to the Stars.” Oy. 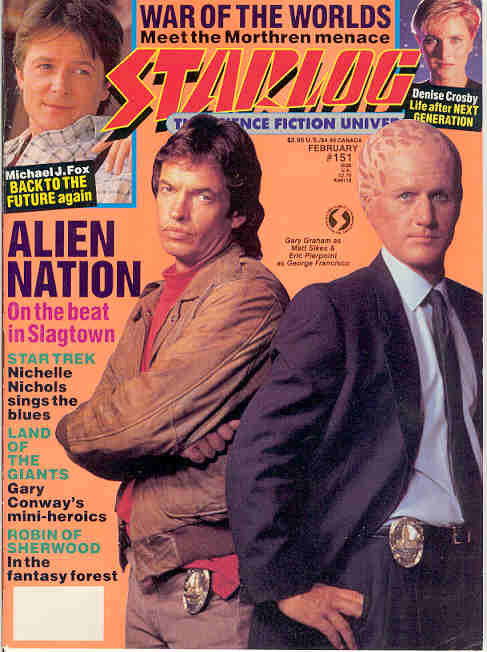 There are so many iconic films and shows that came and went during Starlog’s long run, from Star Trek to Star Wars; from Buffy the Vampire Slayer to Babylon 5; from The X-Files to Lost. Given that the mag also launched the year after my birth, scanning through the back issues of Starlog is an intensely nostalgic experience for me, and I imagine it will be for many of you as well. It’s a highlight reel of the things that captured my imagination growing up, and which kickstarted a lifelong love affair with the genre I get paid to write about to this day. It will also eat a lot of your time, if you let it. Once you’re done with Starlog, don’t forget that you can also check out the run of Omni on the Internet Archive as well. Enjoy! Nice to see Starlog again, and CineMagic. It would be great if their other magazine, Future Life, was also posted.